In October 2014, at the end of my Update on the Very Big Downgrade, I explained that the super high occupancy rates of high end hotels and Airbnbs in New York were forcing me to move location every few days. These high transaction costs defeated the very purpose of the downgrade and pushed me to partially rematerialize. After an extensive search, I ended up buying an amazing apartment in the Lower East Side in the summer of 2015. It clearly appears antinomic for an avowed minimalist to own such an ostentatious piece of real estate. As such I was approached by Kavitha Surana from Bed and Bowery. She wanted to discuss the seeming incongruousness and cognitive dissonance of my move. The conversation was lively and fun. I tried to convey that I retain the life lessons from The Very Big Downgrade of valuing experiences, friends and family infinitely more than material goods. If anything the apartment is now a vector to further those experiences and relationships. I can again host visiting friends. I restarted organizing intellectual salons and dinners. Besides in keeping with my minimalism, it remains sparse and I barely own more things than the 50 items I had previously downsized to. You may have read about Grinda’s “curious midlife crisis” in The New York Times this past summer. A successful internet entrepreneur and angel investor (Alibaba, Lending Club and Delivery Hero are some of his early investments) he reached incredible financial heights, with a 20-acre estate complete with personal butler, an extra $13,000-per-month rental in Manhattan, and a sleek McLaren sports car, only to eventually feel bogged down by “the trappings of success.” So, never one to do things half-assed, he took the new conventional wisdom of valuing experiences and relationships over material possessions to an extreme most millionaires would never contemplate: He sold his home, donated his clothes, and even got rid of the McLaren. His net worth still skews north of $100 million, but he has pared his personal items down to the bare necessities. 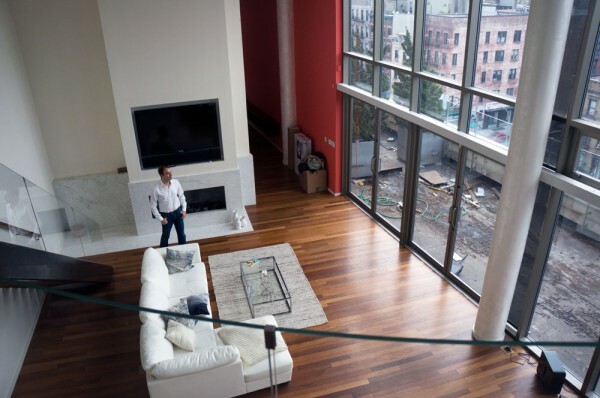 “Because I really downsized my life down to 50 items, it freed up a lot of time that people usually spend A, in a sort of location and B, dealing with admin stuff and paying bills, to focus on more essential things,” he said, padding around his new 3,000-square-foot Lower East Side penthouse, barefoot in jeans and a crisp white button down. Speaking at a relentless elevator-pitch clip, he’s constantly laying out options, examples or test cases in a logical, easily digestible list. Grinda’s personal website is also meticulously detailed–his exhaustive “about me” page lists his age, height, weight, educational history, favorite movies, TV shows, books, and personal interests (which include: his dogs, tennis, debating, theater and, natch, The Economist). But being a nomad eventually had its downsides too, especially in a city as popular as New York, Grinda’s frequent home base for work and play. He began his new peripatetic lifestyle in the tailspin recession of 2008, but as the economy began to pick up, occupancy rates in hotels and apartments also spiked, causing frequent headaches. For one, he couldn’t stay in the same room at one of his favorite hotels, like the Mercer or the NoMad, for weeks at a time on a last-minute trip, or book a high-end Airbnb for more than a few consecutive nights. So, at the beginning of last year, Grinda decided he would search for a landing pad in the city, where he could stay in between frequent business trips to San Francisco, visits to his vacation property in the Dominican Republic, and retreats to far-flung locations like Nepal and Machu Picchu. That’s how he ended up on the Lower East Side with a view of the skyline. 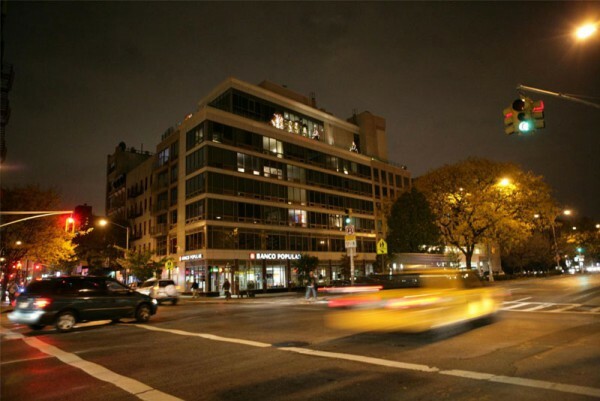 His penthouse is above a Popular community bank on an unassuming block at Houston Street, right at the intersection where Avenue B turns into Clinton. 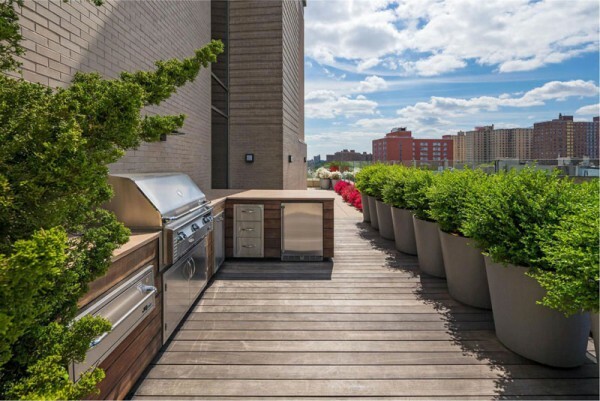 It’s one of the many new high-end developments rubbing shoulders with crowded old tenements and within spitting distance of the largest public housing complex in Manhattan. Across the street is a Pay-o-Matic money center, the perennial tourist favorite, Clinton Street Baking Co., and the new incarnation of Genesis Party Supply, a Latino bridal and party shop recently priced out of its previous location on Clinton Street. The apartment itself presents a heady mixture of excess and restraint. The outdoor deck, currently under construction, features a wrap-around deck, a grill and a hot tub. On the day I visited, the marble kitchen counter was littered with the detritus of a busy week — Pellegrino bottles, half-eaten Seamless orders, a pair of running shoes, Coronas, a champagne glass, a vase of bursting calla lilies, and an empty carton of Laboratorio del Gelato ice cream. The remnants of a fast-paced life where every whim can be easily satisfied. But open up the row of closets on his second-floor hallway and you’ll find nothing but a crumpled pair of underwear. The walls are also bare, the furnishings in the living room sparse: an L-shaped white couch with a coffee table and cream rug and a small wooden table that can expand, surrounded by unremarkable upholstered white leather chairs. Grinda maintains that his personal possessions still hover around 50, despite his ample digs. After all, Grinda’s philosophy on life aspires to a new kind of abstinence–call it “on-demand asceticism.” It doesn’t mean he can’t enjoy the finer things in life–he just doesn’t own them. Or many of them. 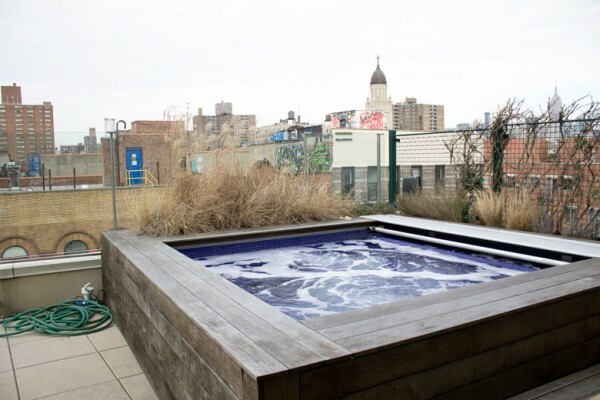 (He reminded me that the hot tub on his terrace and a high-end coffee machine came with the apartment.) Otherwise he can easily order up experiences (and luxuries) when he needs them, whether it’s an on-demand massage from Zeel (which he is also an investor of) or dinner from Sprig (another investee). He can catch a ride on Uber (yep, another one) to take him to see Hamilton on Broadway or to a party. Other diverse investments include Palantir, Airbnb, AdoreMe (vertically integrated lingerie brand), GetAround (Airbnb for cars), Reverb (a marketplace for music), and Diapers.com for Germany. But how did a man who is seemingly spoiled for options end up on the Lower East Side? Grinda described an impressive act of visualization and summoning. Like a 21st century Goldilocks A/B-testing a new program, he’d tried out many different neighborhoods and types of apartments in New York through Airbnb to find his optimal set-up. Right off the bat, he deemed the Upper East Side “too gentrified.” He tried staying on the Upper West Side, but it didn’t fit his lifestyle (“stroller central” and “basically Tribeca,” he said). 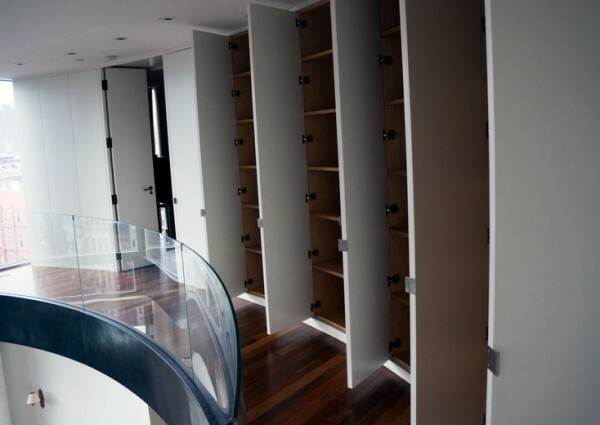 He thought he’d love a townhouse in Brooklyn, but he soon realized there was a fatal flaw. “Vertical living is not super convenient,” he explained, with a rueful smile. Instacart deliveries were a pain, forcing him to travel from the fifth floor to the door and back to the kitchen. The un-optimized space got on his nerves. 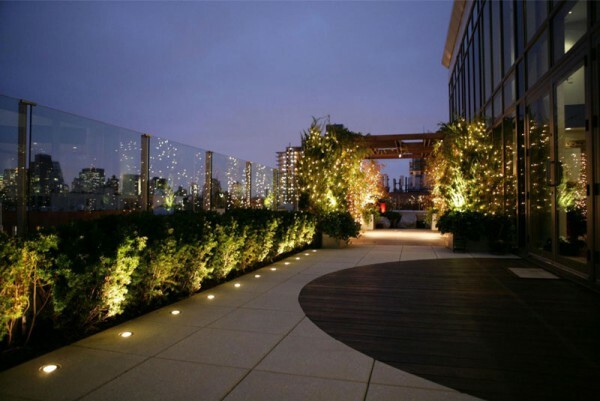 The layout (garden in the back, rooftop on top) threw off the vibe of his parties, dividing the mingling. 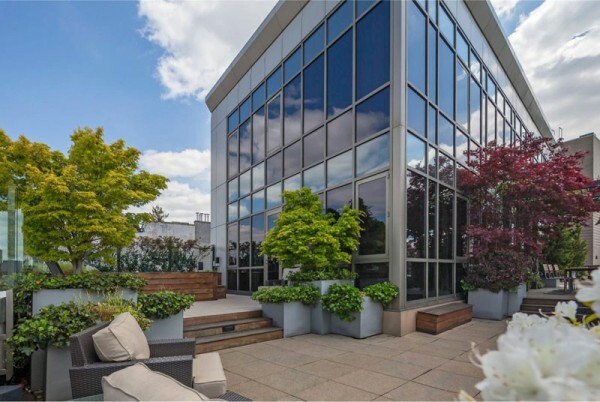 A couple months into 2015 he landed on his ideal digs: a penthouse with floor-to-ceiling windows that opened directly onto a wraparound roof deck for seamless entertaining at his famous parties and “salon” evening. So far, the apartment only existed in his head, but that didn’t discourage Grinda. 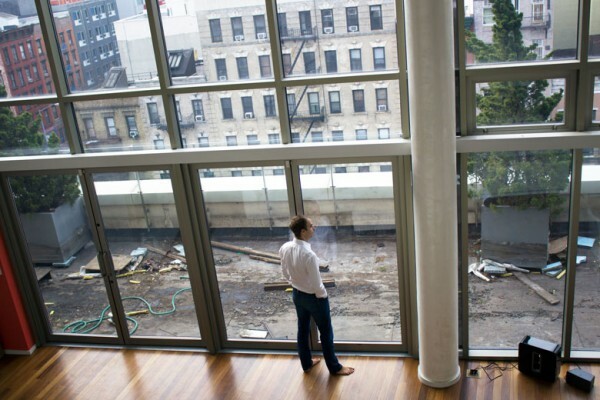 He began to wrack Zillow and StreetEasy until, sure enough, he found a a three-bedroom place IRL that fit his description. It was already occupied, but he made an offer and bought it for more than $6 million. 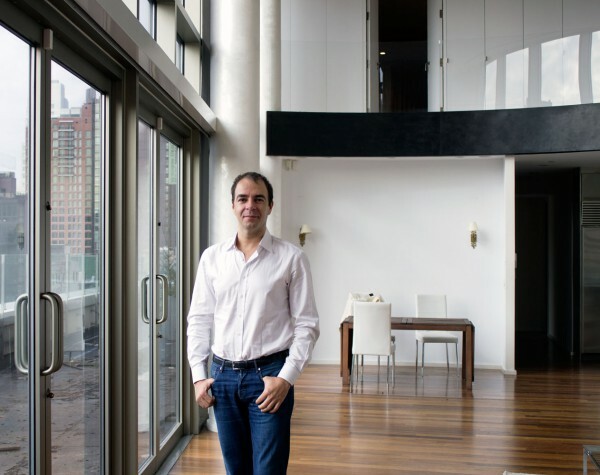 Since buying his penthouse, he has become frustrated with all the regulations he has to deal with, a drag on the fast-moving paces he’s used to in the on-demand world. “My recent experiences with construction and regulation both in the US and the Dominican Republic definitely highlight the differences between the unregulated, fun and fast-growing world of bits, and the regulated, painful and slow, world of atoms,” he wrote on his blog at the start of 2016. But for someone who appreciates the “grittier” and “younger” vibe and scoffs at what he calls “gentrified” Upper East Side, Grinda is not exactly worried about preserving those qualities in his new neighborhood. While Mayor de Blasio and the City Council have just hashed out rezoning laws in which developers will be required to include affordable housing in new buildings and protesters are fighting against luxury supertalls on the Two Bridges waterfront, Grinda thinks more construction should be encouraged with even fewer regulations, letting all kinds of buildings grow to the sky.